It's been an interesting weekend. I'm praying through a lot of things. They're kind of all a bit random but I'm feeling quite burdened about them so prayer is the only thing I know to do. I did want to brag a little about what God is doing around me right now. First off, my wife has been working out for about a month now and she is doing a great job. There have been several times that I knew she didn't want to go and I thought she might start to fade on her dedication but she toughed it out and pressed on. She had a really great progress report that I'll let her share about on her blog. She also started twittering this weekend. Welcome to the madness my dear. Second, Savannah Grace had her first soccer pictures this past weekend along with a Cheerleading camp at Northwood Academy. She did a great job at both and I'm excited to coach her in her first soccer game next weekend. Come by Northwood next Saturday morning to watch the legend begin. Third, my Pastor, Fred Richard gave an incredible message today. He'll tell you it was nothing but after thirty plus years of Pastoring this church and living a life of integrity, it is definitly something. This morning he challenged us as we begin the arduous task of deciding how much to give toward our Out of the Ashes campign. This is an exciting time to be at Northwood. I truly believe we are about to see one of the most amazing works of God our city has ever seen. Fourth, Brian Jarvis my Service Programming Director has stepped up large. Brian has the unfortunate privilege of managing our large group production side of our ministry under my leadership. I've come to discover that I'm a bit demanding and quite a perfectionist. Over the last month we have started to find our legs in our large group worship and teaching time on Wednesday nights. We've still been trying to translate that success programmatically to our Sunday environments. Tonight we succeeded. The picture doesn't nearly do it justice but we had The Avenue in the round tonight. For the last three weeks we've had to be flexible and worship in another building. Tonight we made our room work for us. I'm so proud of the way Brian has handled my somewhat micro-managing involvement in his area of leading. He's one of the up and comers and I can't wait to see him accomplish all the great things God is doing in his life. Finally, God is really challenging me personally and professionally these days. I'm so excited to head to Atlanta next week for Catalyst Conference. Along with seeing some dear friends, AJ, Kevin and I are going to be soaked in worship and teaching from some of the most innovative and influential men of God from across the country. It's been an intense first three months but I believe things are going to get much more intense as we watch God move in the hearts of students, families and volunteers as Northwood Student Ministry continues to chase after the vision God is putting in front of us. I'm planning on writing a real serious post this week that God has been pushing me on. Watch for it. It's one of those I really would rather just push to the back and forget about but I believe it will challenge some of us to really follow God. I suppose that's all for now. I'm praying for you this week. May God continue to challenge and bless you in all that you do. Just a note to say that My Irish beat down some Boilermakers today!! Go IRISH!! To round out our new environment intros, you’ll see below the final video from Jared Hardy of Brother Pickle Productions. The Avenue is our High School Ministry environment. We eat dinner together and then have a worship and teaching time followed by small groups. I think this is my favorite of the three videos. Which one is your favorite? Thought there might be some people out there curious about how our opener sounded last night at The Element. For refreshers, we ended our Pure series on relationships and purity last night. We decided to have some fun with the beginning of our night and Brian Jarvis, Billy Rogers and I sang the beginning of the Jonas Brother’s Love Bug and then the band kicked in and rocked it. Have a listen. Tonight we had a great time at The Element. Wednesday night we have a combined Middle School and High School student environment. This is a production heavy large group experience. We’ve designed The Element to be the “safe place” to invite new people to. It’s our Foyer. Here’s our brand new intro video for The Element brought to you courtesy of Jared Hardy and my 1980’s influence. Let us know you thoughts and hire Jared for your media needs. And yes, tonight along with my Service Program Director and our Intern, I sang the Jonas Brother’s “Love Bug.” I played mandolin and sang harmony. It was a fun night. A few weeks ago I reconnected with an old friend. Jared Hardy was our Video Director at Carson Newman Centrifuge during the summer of 2002. Jared and I formed a bond because of our similar sense of humor and obsession with movies. 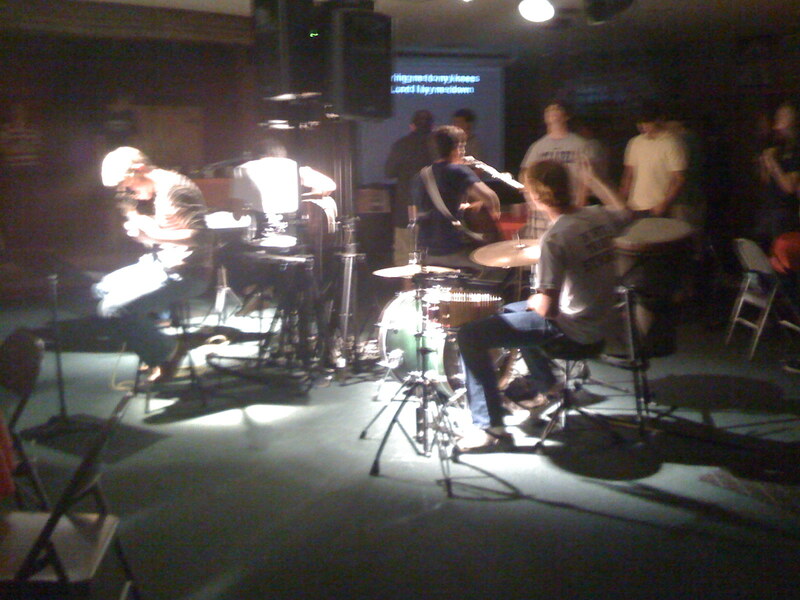 The years following that summer I would constantly show off the great stuff Jared put together for us at Centrifuge. Now, after many years, Jared is once again amazing me with his creativity and ability. Here is a video intro for our Sunday morning environment for Middle School students. I added some music and I’m very excited about this new creative element to kick off our services. Tell me what you think and shoot Jared a line for your video needs. He’s a great guy and very talented. Check him out at http://www.brotherpickleproductions.com. I decided today is Top Ten Tuesday. Here are the top ten things I'm looking forward to…. 10. Finding out who will win the election. 9. Lunch today with our staff. 8. Ordering our new tshirts for Northwood Student Ministry. 7. Seeing if my proposed budget makes it through approval. 6. Catalyst Conference with Kevin and AJ next month. 4. 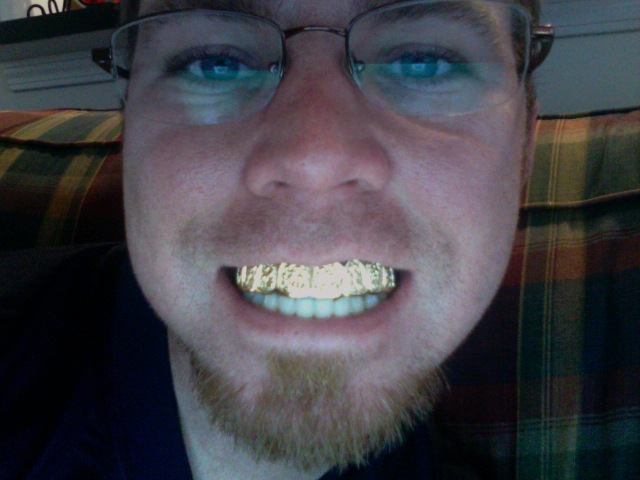 Hanging out with my guys small group again soon. 3. Seeing God do amazing things in our Out of the Ashes Campaign. 2. Wrapping up our PURE series tomorrow night. 1. Going home to my family today. 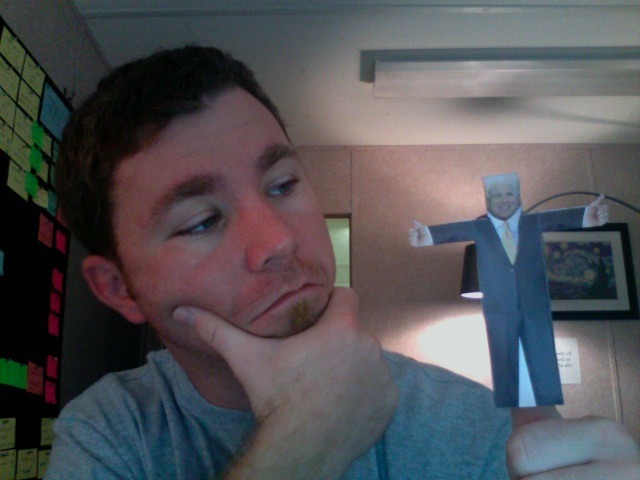 Honorable mention: Cutting out and making the rest of the Presidential finger-puppets.